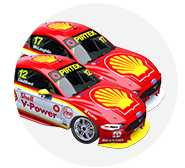 Scott McLaughlin's Shell V-Power Racing Falcon was back in action at Pukekohe on Friday afternoon, following its accident during Practice 2 for the ITM Auckland SuperSprint. 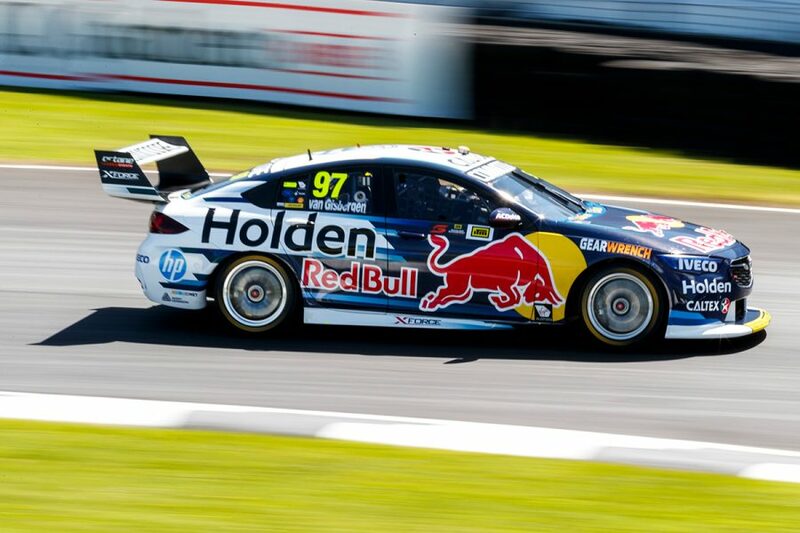 The Supercars Championship leader nosed his Ford into the tyres at Turn 3 early in the afternoon's session, missing the balance of the 40 minutes. McLaughlin came unstuck in the Turn 2/3 complex and went straight on, having battled front-locking all day. An inspection revealed the damage was limited to bolt-on components forward of the control Supercars chassis, including the front rails, splitter and quarter panels, bonnet and radiator. Scheduled passenger rides in the #17 Ford an hour after Practice 2 provided both a target for the team's repair, and an opportunity to shake the repaired car down. 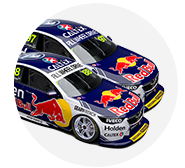 McLaughlin completed four rides of the 2.91km circuit, with the team's focus now turning to Practice 3 on Saturday morning. "The car is fast and it feels good, I’m just disappointed," McLaughlin, who set the pace in Practice 1, said. "Obviously, mistakes happen, but picking a fly-away round to make a big mistake is really frustrating. "I’m disappointed in myself, but we’ll move forward. These things happen in motorsport, and you’ve got to move on. "The team have cracked into it, and got the car fixed up really quickly. "I'm very fortunate to have the best crew in the lane, and they’ve showed it again today." McLaughlin ended the day 12th in the combined order thanks to his time set in the morning session. 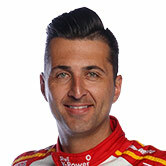 Team-mate Fabian Coulthard was 15th, having been fifth and 14th in the two sessions. "We tried a few things today and have a good direction," Coulthard said. "I just need to put it all together into a good lap tomorrow morning. "It was a shame to see Scott go into the fence, but it’s a testament to the team that they got it fixed so quickly." 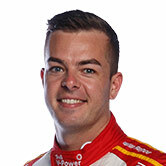 McLaughlin starts the weekend with a 14-point championship lead over fellow Kiwi Shane van Gisbergen. 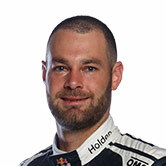 The Red Bull Holden Racing Team driver was third and eighth in the two sessions, and finished the day comfortable with the pace in his Commodore. "Our car was OK, we made some gains in Practice 2, then we put some new tyres on the car but we didn’t go as fast as we thought we would," he said. "The pace was there, we just didn’t put it together to get a good time. "We’ve got another practice session in the morning and then we'll see how we go from there. "Everyone is talking about the rain over the weekend, but I don’t think it will rain when we’re on track. You can quote me on that."